The tables have turned. Just a few days ago, Republicans seemed poised to capture the Senate, with Democrats fearing for their 53-47 majority. Indeed, the math has long seemed to favor Republicans: Of the 33 contested Senate seats in 2012, Democrats hold 23, while the Republicans hold only ten, meaning the GOP has far fewer seats to defend. Indeed, Senate Democrats, who were on the defensive for so long when it came to 2012, are now in a position to play offense. Stuart Rothenberg, editor and publisher of the non-partisan Rothenberg Political Report, argues that while commentators have been focusing on potential Republican gains, Democratic opportunities to gain seats could be even more important. If the Democrats can put pressure on even a few states, Rothenberg says, “Suddenly the hill the Republicans have to climb up looks like a mountain.” With that in mind, here are five states where Democrats will be on the attack. 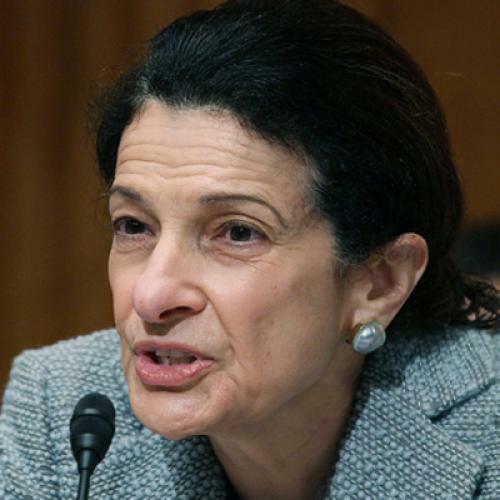 Maine: With Olympia Snowe out of the running, Maine is no longer a safe seat for Republicans. But that’s not to say it’s a lock for Democrats either. Maine is traditionally thought of as a blue state and the potential Democratic candidates for the seat are strong. (They include two current members of Congress, Representative Chellie Pingree and Representative Mike Michaud, and a former Democratic Governor, John Baldacci.) The potential Republican challengers, who include state senate President Kevin Raye and Secretary of State Charlie Summers, are less prominent. Still, the Democrats shouldn’t be too dismissive of Republicans—the GOP has had a lot of luck getting elected in Maine of late. The state currently has two Republican senators in Washington, a Republican governor, and a Republican legislature in both houses. Massachusetts: While the Republicans technically hold the advantage in running the incumbent, Senator Scott Brown, who is considered a strong candidate, his strengths may not be enough to counter the significant advantage that Democrats have in Massachusetts in a presidential election year. President Obama is sure to win Massachusetts, and his presence on the ballot will be a boon to the Democratic candidate, Elizabeth Warren. Nevada: The Republicans are running here with an unelected incumbent, Senator Dean Heller, who was appointed to the seat after John Ensign resigned amid scandal. Democrats are banking on the large Latino population, which makes up roughly a quarter of the state’s electorate and leans heavily Democratic. By all accounts, the race between Heller and Democratic Congresswoman Shelley Berkley is going to be very close. The most recent polls show the two candidates running in a statistical tie. Arizona: With Senator Jon Kyl retiring, there is no incumbent in the Arizona race. The seat is “likely” to go Republican, according to the Cook Political Report, but Democratic strategists see the seat as a possible target. They hope that the changing demographics in the typically red state will tilt it in their favor: 19 percent of people of voting age in Arizona are Latino, and like Latino voters in Nevada, they lean Democratic. Democrats also think they have a strong candidate in Dr. Richard Carmona, a Vietnam veteran and former U.S. surgeon general. Still, while Democrats might be right to hope, the state is going to be a very tough win for them. Carmona still has to win a primary against the Arizona Democratic Party chairman. Plus, the most recent poll from Public Policy Polling put both Democrats 11 points behind the Republican frontrunner, Representative Jeff Flake. Rothenberg says Carmona’s candidacy gives Democrats a “plausible scenario” to win Arizona, but it is far from a sure bet. “There is reason for Democratic hopefulness and optimism. It looks like they recruited a candidate with a chance to win. It’s still going to be tough to win,” he predicts. Conservative activist Grover Norquist is less charitable. “I think they are fantasizing about Arizona. Maine is tougher, Nevada is a little tough,” he says, adding that Maine and Massachusetts are the only states he really worries about Republicans losing. Indiana: With the six-term Republican incumbent, Richard Lugar, facing a tough primary challenge from the right, Democratic strategists see an opening for their candidate, Representative Joe Donnelly. But Democrats should probably be cautious about their prospects of flipping this Republican stronghold, even if Lugar loses to his much more conservative opponent, Indiana State Treasurer Richard Mourdok: Donnelly’s candidacy is going to be impaired by Obama’s unpopularity in the state.